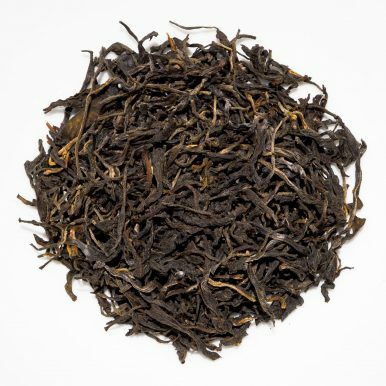 Assam Brahmaputra Black is a particularly smooth and balanced Assam from Bhartia Tea Estate in the famous Dibrugarh tea growing district. 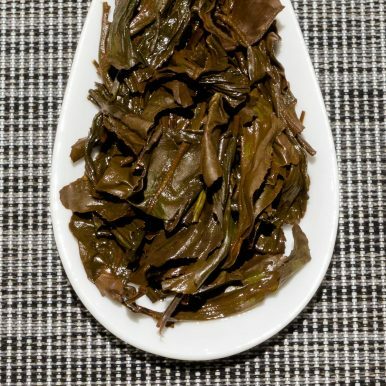 Dark large leaves produce a red amber liquor with a malty aroma. The sweet taste has minimal astringency with malty, earthy caramel notes. 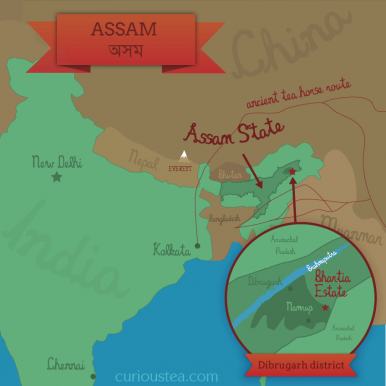 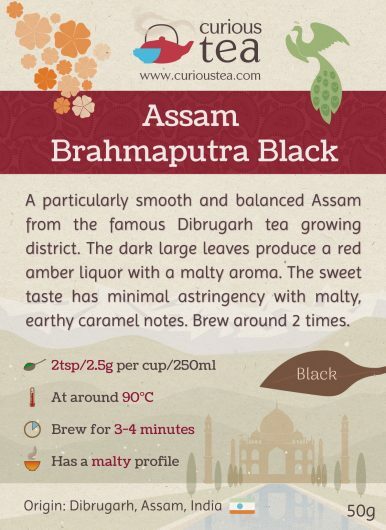 Assam Brahmaputra Black is an intriguing tea from the Bhartia Tea Estate in the east of Assam. 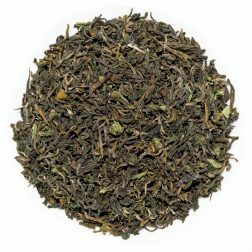 Named after the Brahmaputra river which flows through Assam state, this tea comes from a garden where it is produced in cooperation with other nearby small farm holders and is made completely by hand. 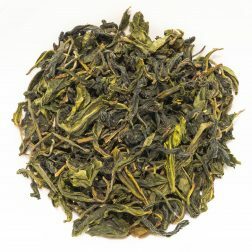 It was harvested in October 2016, using the local Camellia sinensis var. 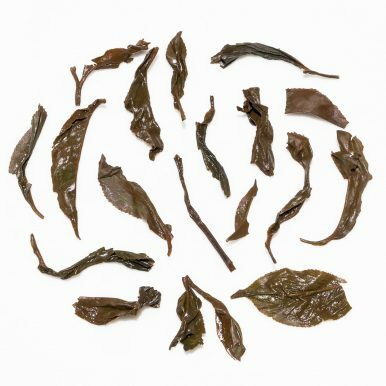 assamica cultivar. 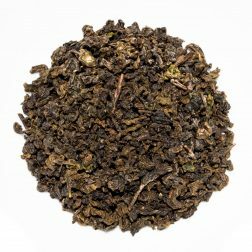 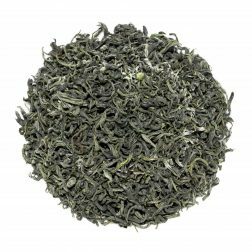 We also offer a smoky Assam Brahmaputra Green tea from the same Estate. 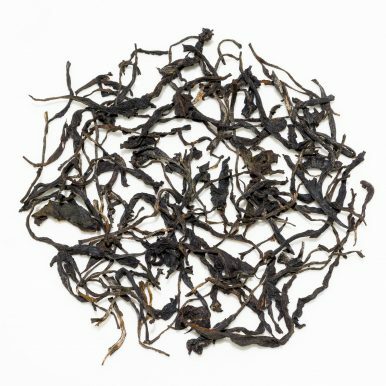 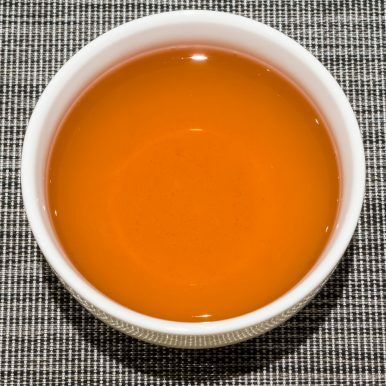 This Assam Brahmaputra Black tea was first featured in our April 2017 Curious Tea Subscription Boxes.